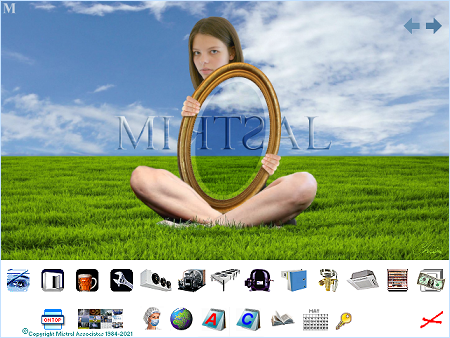 Download Mistral's complete software system right now! Please complete the form below with your name & email address, answering the few simple questions we respectfully ask to help us provide you with the best possible service. Click the Submit button at the bottom of this page to send us your answers. No personal details will be stored by Mistral and you will never be spammed! Subscription Licences can only be ordered and software downloaded using this form. The Annual Subscription Licence provides access to Mistral's programs and interactive databases for 12 months only. You are not entering into any open ended contract and which you must engage in a convoluted cancellation procedure in future if you no longer wish to continue having access. You will not be automatically charged again in future. If you wish to continue access after the initial 12 month period has completed then you will need to visit this website again at that time and to complete the download request form again. Using an easy to see and find link in the program itself. Indeed the program itself will display a passive and gentle reminder when the time to renew, update and upgrade draws near. Future subscription charges are guaranteed to remain fixed for you in perpetuity, subject only to officially notified rates of inflation as published in the RPI (Retail Price Index) and if applicable. You have the opportunity to read all of your rights and obligations in the Software Licence Agreement both prior to and after installing the software product. If you do not agree with the terms of the Software Licence Agreement which is drawn up in accordance with prevailing internationally supported legislation concerning intellectual property treaties and rights then you are not obliged to proceed with download, installation or use of the software. Q. 2 I accept I must ignore Microsoft's libellous and false download and install warnings if I wish to use this guaranteed safe software. Full details may be read prior to installing. Mistral's program installation procedure requires entry of unique Access Registration Codes. This code will be sent to authorised downloaders by email to the email address provided on this form. Make a note of your Access Registration Code when you receive it. Keep it safe and somewhere you know you will be able to find it again. Although it can only be used to install the software one time, in the event you wish to buy an additional subscription licence at a later date, for a colleague or for your Notebook computer for example, then you will need your Main Licence code again. Without it you or your colleagues will be unable to take advantage of the substantial additional licence discount. For logistical reasons additional subscription licences must have the same period of validity as the Main Licence. There is therefore no advantage in delaying purchase of first additional licenses if it is anticipated these may be required in future. Licensees claiming licenced access has been lost due to failed, lost or damaged computers will be given sympathetic consideration for free replacement. Abusers will not! Additional licensees must be employed in the same organisation as the Main Licensee. Mistral Associates works tirelessley keeping programs up to date with latest Information Technology and also maintaining the tens of millions of items of proprietary data accessed through thousands of interactive databases. As a Licensee you will be welcome to download and install periodic program upgrades and updates at anytime and without incurring any additional charges. You will not even be required to re-enter your unique Access Registration Code in order to do so. Confirming receipt of payment and forwarding Access Registration Codes is conducted manually. Depending upon international time differences, international email routing delays, over which Mistral Associates has no control, and also work load this may take up to 24 Hours. Please therefore be patient. Normally the process will be completed in around 90 minutes. If you do not receive your Access Registration Code within 24 hours of downloading the program #_setup file then before contacting Mistral please ensure that your email Spam interceptor software is not of poor quality or has been inexpertly set, so as to consign Mistral's messages to your junk mail folder. Mistral knows you don't like your time being wasted. We don't like our time wasted either!